This double album contains all of John McLeod's music for solo piano including the Five Sonatas and Haflidi's Pictures - works with narration and piano based on visual art by Haflidi Hallgrimsson. Murray McLachlan is a highly esteemed pianist, teacher and enabler - and prolific recording artist. 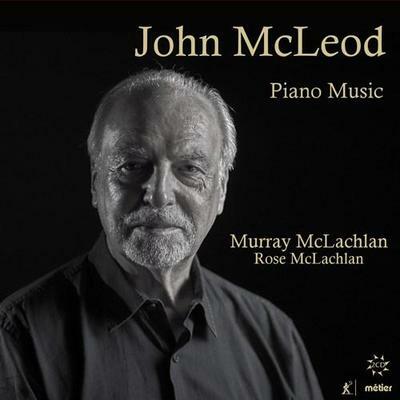 These recordings are from a series of live recitals in 2017 when McLachlan presented the entire McLeod piano output to a highly appreciative audience at Manchester's Stoller Hall. The CD is also a notable debut for young generation artist Rose McLachlan who gives a splendid account of the Hebridean Dances. What do you want to know about John McLeod - the complete Piano Music on 2 CDs?